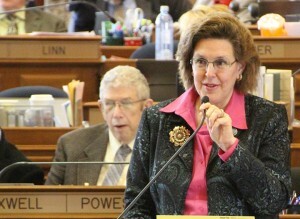 State Rep. Sandy Salmon (R-Janesville) has released her weekly Capitol Corner legislative update. She discussed continued work on the state budget, as well as passage of the standing appropriations bill in the House, and a Fiscal Year 2016 education funding bill in the House Appropriations Committee. Capitol Corner may be read in its entirety by clicking here.